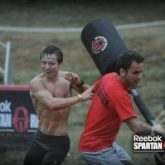 Spartan Beast Vs. Mount Everest – How Much Climbing Is There Really? Ah, the pre-race gossip. I have heard it all by now. From Ultra Beast 2012 being 50 miles (it wasn’t) to certain world championships having crocodiles (they didn’t). 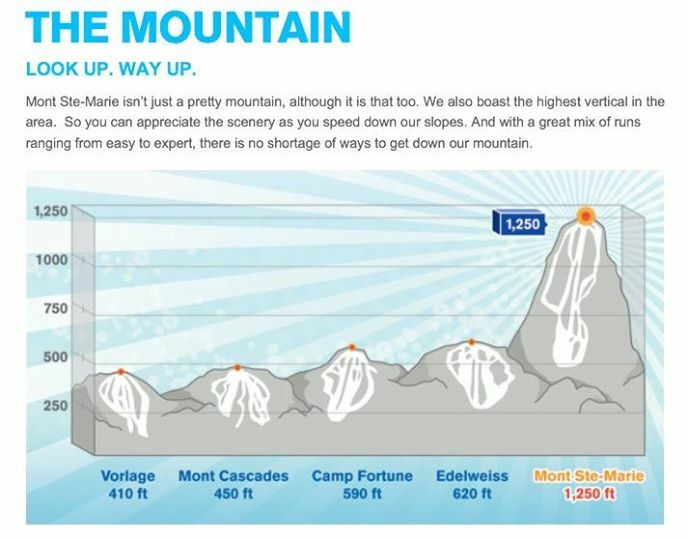 So, one piece of juicy gossip was about the upcoming Ottawa Ultra Beast – it was speculated that the racers will have to tackle elevation gains equivalent to half of Everest. [Check out the race preview and interview with the director from the MudRunGuide here]. Mount Everest, the highest peak in the world, at 8,848m (over 29,000ft) is called Holy Mother in Tibetan. It is also understandably the benchmark any time significant elevation gain is involved. So, is it realistic that a Beast or an Ultra Beast (in Ottawa or elsewhere) can present enough elevation gain to compare? Elevation (or elevation gain) is the sum of every gain in elevation. It is one of the most common indicators of how strenuous a hike, a race or a climb is. Elevation losses are not counted in this measure. In the elevation change graph below, you would add up each ascent of 100ft across the entire trip in order to calculate the total elevation gain. Elevation change is the sum of every gain and every loss in elevation. In the same image, you would add up every ascent AND every descent across the entire trip to calculate the total elevation change. If you start and finish at roughly the same elevation (as is often the case with races), the elevation change is twice the elevation gain. Let’s do some crude math here. Mountain Everest is over 8,800m (29,000ft) tall (<– that’s elevation gain). To have the elevation equivalent to half of Everest, the race course would have to boast at least 4,400m (14,500ft) of elevation gain. Ottawa Spartan Beast 2014 had 1,274m (4,178ft) elevation gain [see GPS data]. So, no dice. Sun Peaks Spartan Ultra Beast 2014 had 2,535m (8,315ft) of elevation gain [see Suunto and Garmin GPS data]. Not quite… The course consisted of two Beast laps, at 1,268m (4,157ft) – comparable to the Ottawa Beast, and with significantly less climbing than Vermont. The times for Sun Peaks UB were… fast. 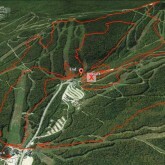 Spartan Beast World Championships 2013 in Vermont featured 1,782m (5,845ft) of elevation gain [see GPS data]. 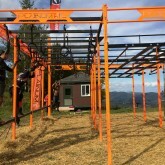 The elevation gain on Spartan Beast World Championships 2014 in Vermont was only (ha!) 2,450m (8,000ft) [see GPS data and course analysis]. The Ultra Beast course in 2014 was two laps (and a bit) of the Beast [see GPS data], so approximate elevation gain should be close to 4,900m (16,000ft). AHA! Now, we are talking – that’s well over half of Everest! 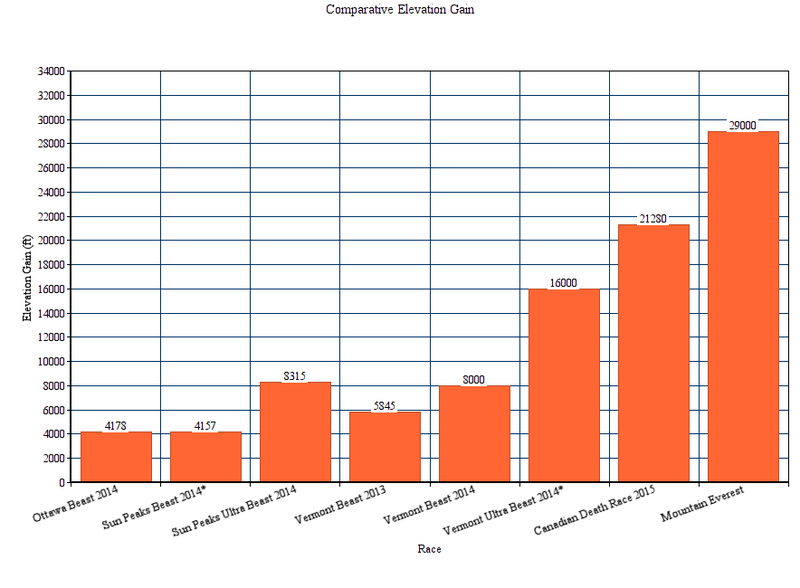 Looking at the chart above, you can see that only Vermont Ultra Beast passes the “1/2 Everest” test. So, to expect a typical Spartan Beast to have twice the elevation of Vermont Beast is probably unreasonable. But, we are more likely to be hitting those numbers with Ultra Beasts. The upcoming Ultra Beast in Ottawa would need to have 4,400m (14,500ft) of elevation, or 2,200m (7,250ft) of elevation per loop, to pass the 1/2 Everest. Is that realistic? This year’s race venue is based around Mont Ste-Marie – 380m (1,250ft). It may be the “highest vertical in the area”, but it’s not a lot to work with in terms of elevation. You’d need to climb that mountain 6 times in the Beast course, and 12 times in the Ultra Beast course in order to hit “1/2 Everest”. While there will be repeated climbs, there are only so many times any self-respecting race director can send you up the same damn mountain. More realistically, racers will probably climb Ste-Marie 4-5 times (per loop) and make up the rest of elevation elsewhere. 1. Ottawa Beast 2015 will have around 1,500-2,000m (4,900-6,500ft) of elevation. 2. Ottawa Ultra Beast 2015 will have around 3,000-3,500m (9,800-11,500ft) of elevation. 3. Both race courses will not pass the “1/2 Everest” elevation test. The UB course will probably not be 50 miles (although the race director promises 50k), and there will probably be no crocodiles (bears are more likely). HOWEVER, I also predict that most racers WILL underestimate this event, whether or not it will come close to Holy Mother in terms of elevation. I hope you’ve been training on hills, but, there is more to a difficult course than elevation – as anyone who’s had to do a double sandbag carry or complete “Norm’s shaft” with no grip strength left can attest. Also, for most racers attempting the Ultra Beast, this will be the longest they have ever raced. And I am referring to time on feet, not absolute distance. Racing for 4-6 hours, and racing for 9-12 hours is a different… Beast. Good luck. I am rooting for you. 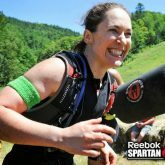 YOUR TURN: Do you have GPS data for any other Spartan Beast courses? Send them my way! Liked this post? Check out top 10 tips for conquering Vermont Beast.